Seaguar, the originators of fluorocarbon fishing line, is proud to support the efforts of Gray FishTag Research to study and protect sustainable marine fisheries around the world. There has never been a more critical time to learn about the marine fisheries that we rely upon for sport and commerce. Such research faces significant headwinds, as many of the target pelagic species frequently migrate hundreds, if not thousands, of miles during the course of their lives, and public resources to support detailed population studies are limited. Nevertheless, anglers and scientists have forged a unique partnership – Gray FishTag Research – in an effort to gather high-quality data on marine fish population dynamics, migration patterns, growth rates, habitat preferences, and more. Gray FishTag Research is a non-profit organization, leading an international and fully interactive fish tagging program powered by the world’s largest network of fishing professionals, consisting of approximately 10,000 charter boat captains and mates. 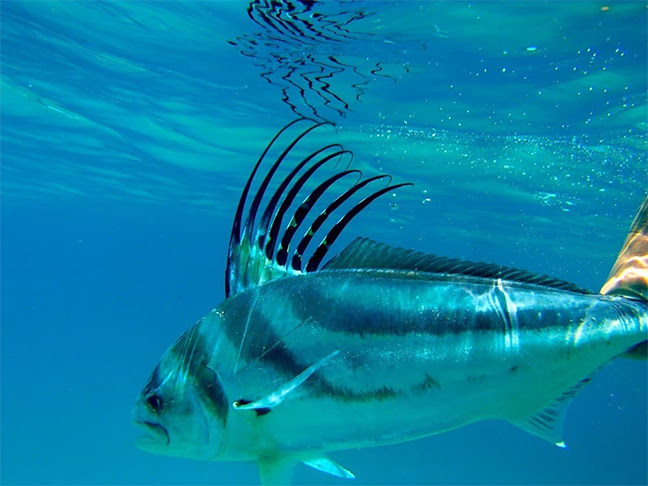 Tags are deployed on fish that are caught and subsequently released; data are collected when a tagged fish is recaptured, or from pop-off satellite tags that record data electronically and then “pop off” the tagged fish after a predetermined about of time. Fish tagging and recovery data is made available, free of charge, to any interested parties through the Gray FishTag Research website. The first PSAT tag, on a fish named “Las Gatos”, was deployed on April 28, 2018 and popped-off 58 days later. Not only was data transmitted by the tag after pop-off, but the tag itself was actually recovered, found by a local angler who recognized the importance of his discovery and returned the tag to Gray FishTag Research for more detailed analysis. The second PSAT tag, on a fish named “Nicaragua”, was deployed on June 9, 2018 and popped-off 17 days later, off of the southern coast of Nicaragua. This fish traveled an amazing and noteworthy distance of at least 228 miles during the 17 days that the PSAT tag remained attached to the fish. Seaguar also supports the work of Gray FishTag Research to enhance our understanding of swordfish movements and population dynamics through a fish tagging and recovery study. Recently, a tagged swordfish that entered the study in late 2017 was recovered, nearly eight months and 500 miles later! On December 16, 2017 a swordfish was tagged by angler Anthony DiMare while fishing with Captain Nick Stanczyk aboard the Broad Minded charter boat out of Islamorada, Florida. The swordfish was estimated to be 47 inches in length and had an approximate weight of 50 lbs. On August 11, 2018, a full 238 days later, that swordfish was recaptured by NOAA observer McKenzie O’Connor while aboard PLL Vessel Ellen Jean. The recapture location was approximately 475 miles away from the tagging location. The measured length of the recaptured fish was 55 inches, and it now weighed 96 lbs. Gray FishTag Research is an essential tool for promoting the sustainability of marine game fish and increasing public resource awareness. All fish species in every ocean are being monitored, including billfish, sharks, general offshore and inshore fish species. The program collects information in real-time by providing a direct connection between anglers and the scientific community, in every part of the world. Seaguar is proud to continue our support of Gray FishTag Research as it yields unique and invaluable data about our most important marine fisheries. The dedicated anglers who capture, tag, and release fish as part of the study, and the diligent scientists who process, analyze, and report tagged fish data, are the perfect embodiment of Seaguar’s motto; just like our lines and leaders, these professionals are Always the Best!